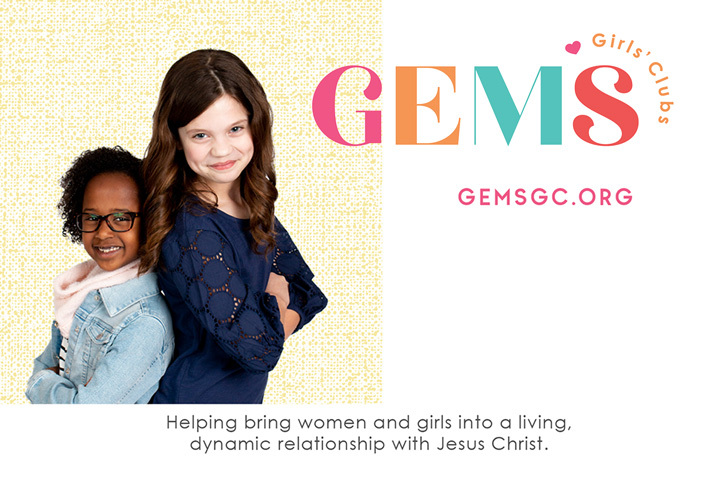 Girls in grades 2 through 6 are welcome to join us on Monday, October 1 (6:30 – 8 PM) as we kick off our 2018-2019 GEMS Girls’ Club season. Registration forms will be available upon arrival. We’re excited for the season ahead: Bible studies, crafts, games, songs, service projects, and other fun activities – centred on the theme of Be a Blessing! The girls and their leaders meet every other Monday, and they’re ready to sparkle and shine brightly.